Indian companies were welcomed to participate in the Indonesian infrastructure projects, particularly in the Aceh province, a connectivity of which is being developed with Indian islands. Welcoming the companies was Indonesia’s Coordinating Minister of Maritime Affairs Luhut Binsar Pandjaian who also gave an insight into the improved investment climate in his country. 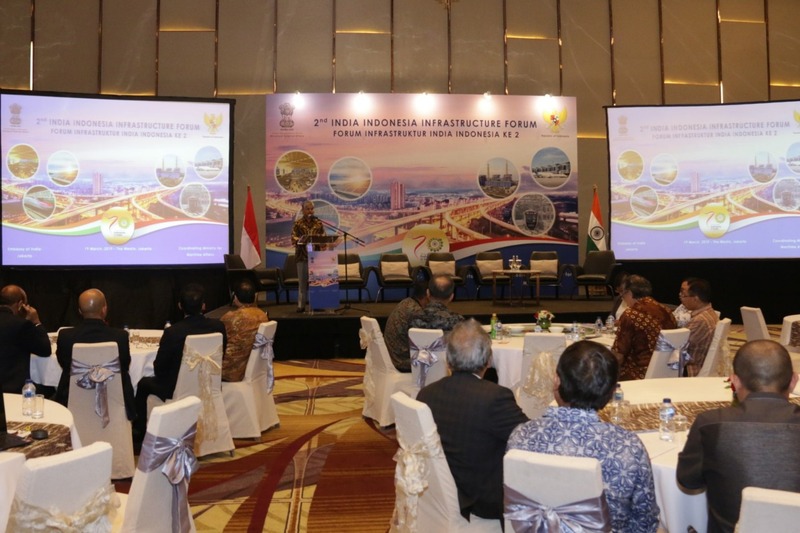 He was addressing chief executives of Indian companies at the 2nd India Indonesia Infrastructure Forum (IIIF) which was organised by the Embassy of India, jointly with the Indonesian Coordinating Ministry of Maritime Affairs in Jakarta on 19 Mar 2019. He said that Infrastructure development was a top priority for the Government of Indonesia, according to a statement issued by the Indian Embassy. Aceh Governor Nova Iriansyah also welcomed the Indian companies’ participation in Aceh development. The Governor stressed that India and Indonesia are working together to achieve better connectivity between Banda Aceh (the province’s capital) and Andaman & Nicobar Islands. A. Gitesh Sarma, Vice Minister of External Affairs, expressed confidence that the 2nd Forum on Infrastructure would build upon the linkages established between the businesses on both sides and lead to greater participation of Indian companies in the ongoing infrastructure projects of Indonesia. In his opening remarks at the forum, Ambassador Pradeek K. Rawat called for forging of greater synergies between Indian and Indonesian industries, especially in the infrastructure sector. The forum was attended by a high-level delegation of over 30 Indian CEO’s from infrastructure sectors focusing on Automotive, Mining, Port, Power, Airport, Water Resource Management, Hospital Managements Systems, Industry 4.0 and IT solutions for Infrastructure Projects, participated at the 2nd IIIF. Some of the Indian companies represented included GMR, GVK, BHEL, Adani, Larsen & Toubro, Tata Power, TCS, Tech Mahindra, Essar, WAPCOS, EXIM Bank, Jet Airways, amongst several others. The forum was also attended by more than 75 Indonesian companies in infrastructure sector including Pertamina (Oil & Gas), Garuda (Air connectivity), Angkasa Pura (Airports), Pelindo (Seaports), Jasa Marga (Highway Management), along with officials of the Indonesian Investment Coordinating Board – BKPM, Ministry of State-Owned Enterprises and Ministry of Health.